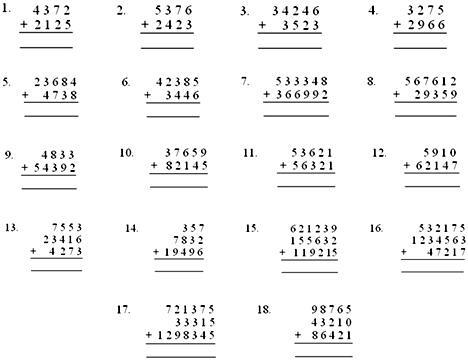 In worksheet on addition, all grade students can practice the questions on adding numbers with more than four digits. This exercise sheet on addition can be practiced by the students to get more ideas to learn addition. If students have any queries regarding the questions given in the worksheet on addition please contact us so that we can help you.